No single supplement ingredient can provide the brain with everything it needs. Researching the enormous number of supplements today and deciding which ones to take for optimal brain health can feel like an overwhelming challenge. Only CogGevity combines the right nutrients in the right combination—according to the latest science—in a single soft gel capsule. CogGevity is the ideal complement to a healthy lifestyle. 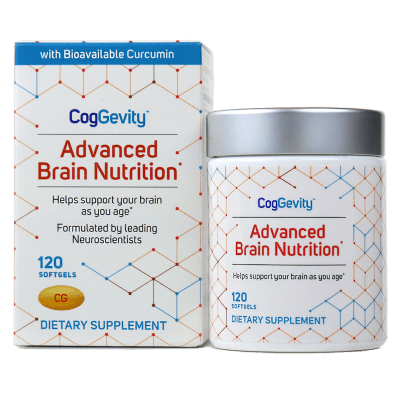 Along with a nutritious diet, regular exercise, adequate sleep, stress management, and other healthy lifestyle choices, CogGevity can help you maintain a healthy brain, now and in the future.